production are laid in the development phase. s.e.t. electronics GmbH (s.e.t.) is a medium-sized, owner-run family business and is one of the leading EMS (Electronic Manufacturing Services) suppliers in the German state of North-Rhine Westphalia. s.e.t. has more than 50 years of experience in the development and manufacture of electronic products. Starting life as an in-house production facility of leading international textile machinery constructor Schlafhorst, s.e.t. has successfully established itself on the market as an EMS service provider since a management buy-out in 1997. 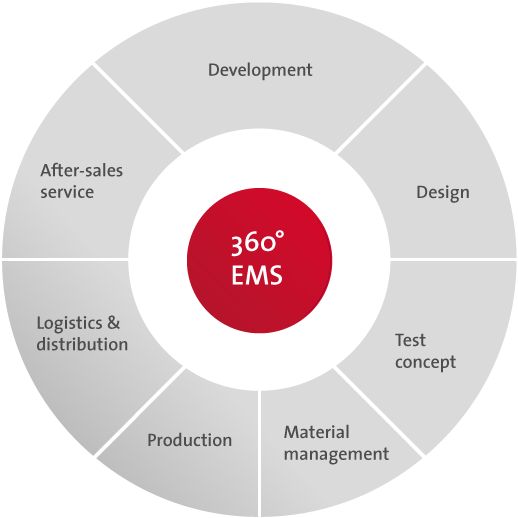 Thanks to its wide-ranging EMS service portfolio (360° EMS) and comprehensive, personalised customer care, s.e.t. is able to react rapidly and flexibly and offers customer-specific, competitive solutions along the entire lifecycle of your electronic products.